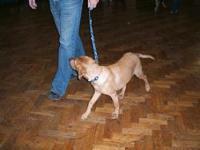 All our classes are small giving us plenty of time to spend with each dog and owner individually. We understand that dogs learn best when they are looked at as individuals and their breed characteristics are taken into account. We recognise owners’ needs too, taking time to discover how best you learn and work with you to get the best out of both you and your dog. Learning is best achieved when we are enjoying ourselves, hence we use fun and rewarding methods for both you and your dog. New Course Dates for 2016 – Now Booking – Visit Course Dates page for details. An eight week course designed for all dogs, whether this is the next step from Puppy Classes or the first stage of basic training for a young, adolescent, old or rescued dog. This course will give you a great foundation from which you can grow and develop your training and bond with your dog. During this course dogs will learn how to sit, lie down, stand, stay, heel, recall, show good manners around other dogs, ignore distractions and ‘watch you’ for direction. This eight week course is open to anyone who has completed the Beginners Course. This course expands on the obedience work previously learned and adds new exciting elements such as, good food manners, walking in the ‘real’ world, car travel, retrieving and relinquishing articles or toys. 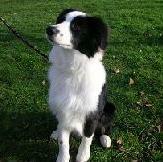 Learn how to keep your dog ‘close’ and start work on impulse control. We really enjoy teaching this course, it’s hard work, but fun and full of new challenges.